One of the most attractive things about Chile is it’s diversity in landscapes, climate, atmosphere and overall feeling. We went from chilly and wet Patagonia to dry and hot Atacama and now it’s the Colchagua Valley near Santiago de Chile that is getting under our skin. Why? Surely the place, the Clos Apalta vineyard and it’s guesthouse or rather villa style hotel, which is the main reason why we like this area so much. The views over the vineyards with all the autumn colors are specaculair. The wine and the food here are great. 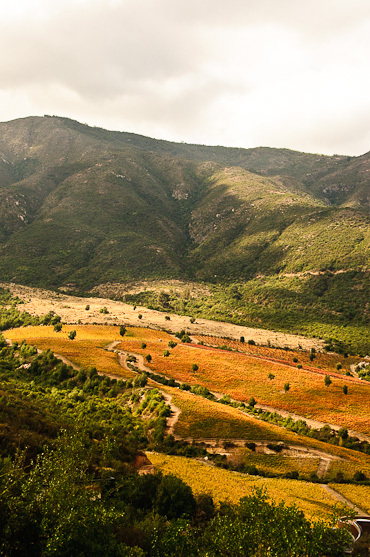 The services comes with a big S. The owners are the Grand Marnier family and they brought European expertise to the rich and fertile vineyards of Chile. 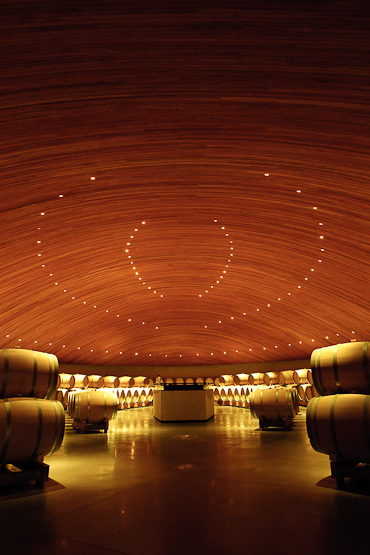 A great place for tasting and experiencing how Chile made it’s way from a winecountry which was not that specaculair to a deserved spot on the A-list of good wine. When you visit Clos Apalta, make sure to have a chat with the Chilean winemaker Andrea Leon. She will explain about the fact that the vineyards are bio-dynamic and organic and how this contributes to the very good Clos Apalta wines.